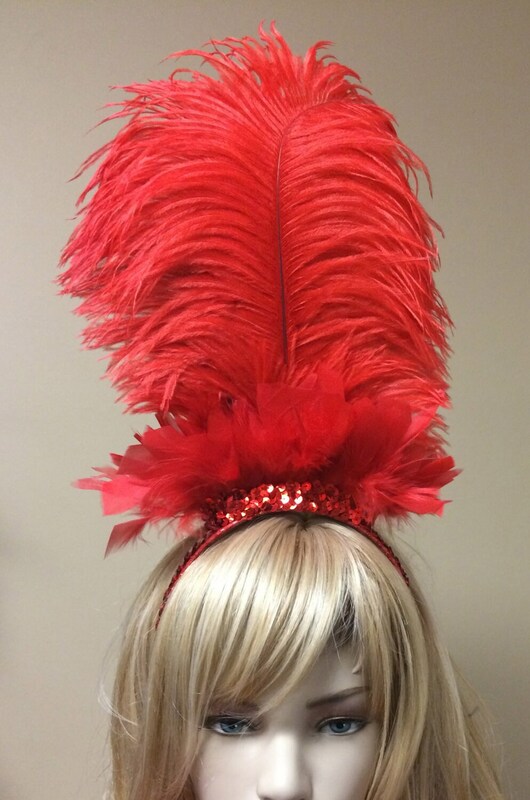 Custom Made Ostrich Feather Headdress. Each headband is custom made and made to order. I have offered it in the most popular colors. 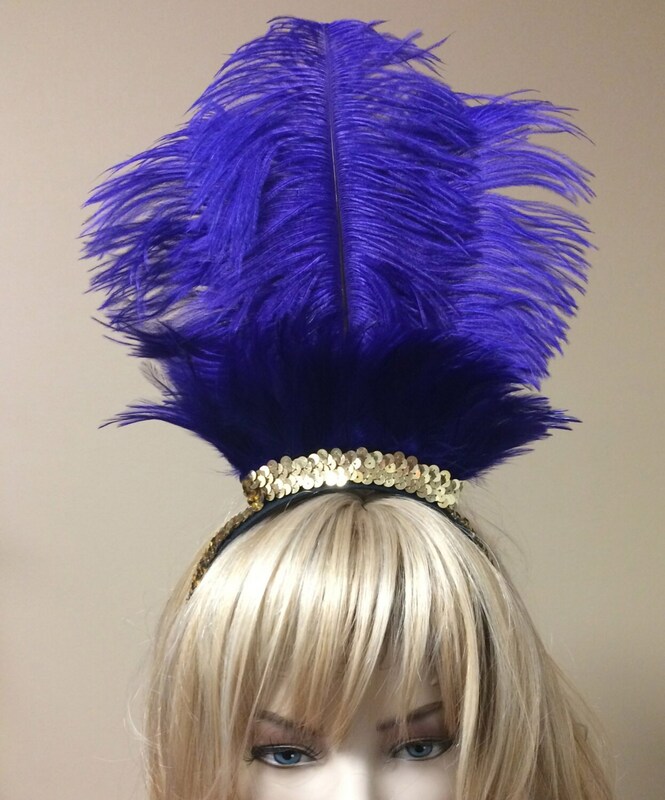 You can select Feather color and sequin color. However, you can also have it other colors and multi color feathers etc, please just contact me to request a what you would like. 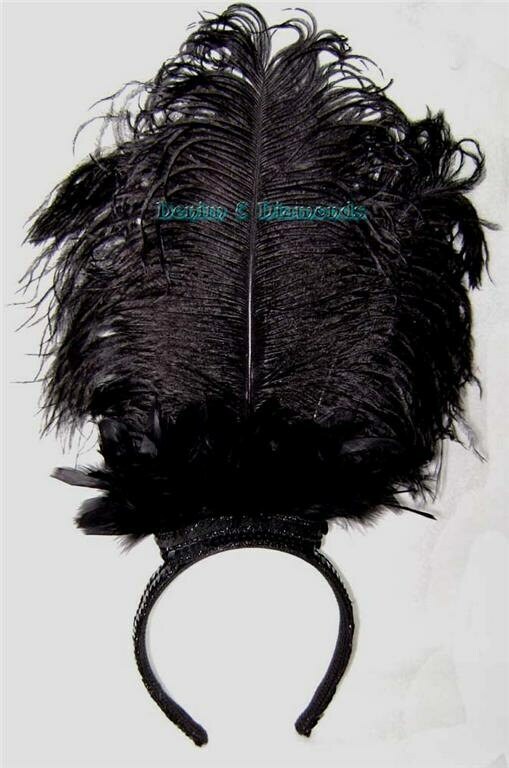 The headband features 3 large handpicked ostrich feathers, shorter feathers, and sequins. Size and shape of each feather will vary slightly as each one is unique.